Macedonian President Gjorge Ivanov signed into law the bill that gave amnesty to participants in the April 2017 incident in the Parliament. 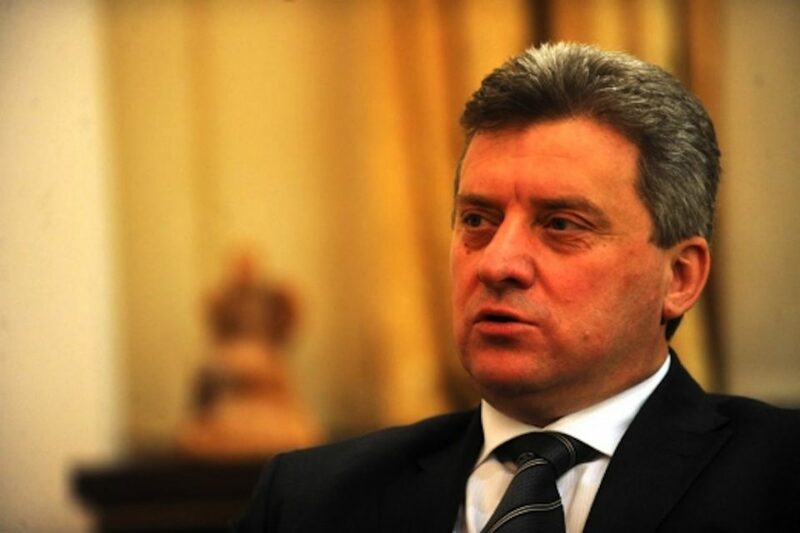 The case was abused by the ruling SDSM party to pressure at least three former VMRO-DPMNE members of Parliament to vote in favor of amending the Constitution and renaming Macedonia into North Macedonia. According to the law, the members of Parliament, and other participants in the incident that was provoked when SDSM and several ethnic Albanian parties staged a separate Parliament session to elect a new Speaker, will be able to ask for amnesty. 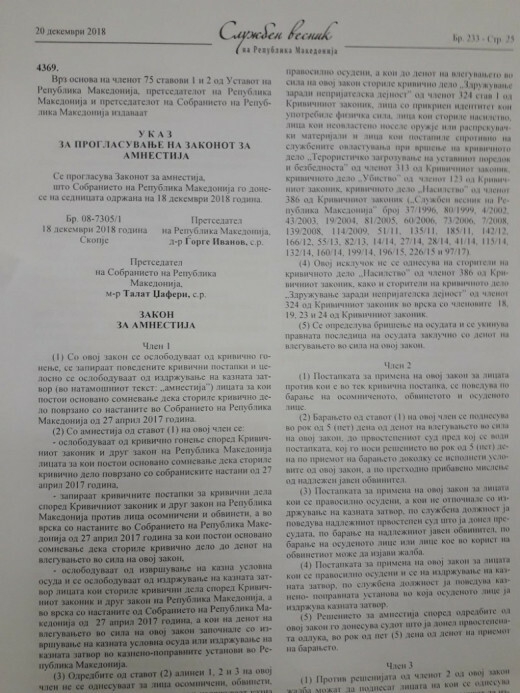 The judge and the prosecutor in this case, both strongly criticized by VMRO-DPMNE as being SDSM partisan supporters, will also have a say in the final decision, which is widely seen as related to the way the members of Parliament will vote in the last vote on the constitutional amendments.